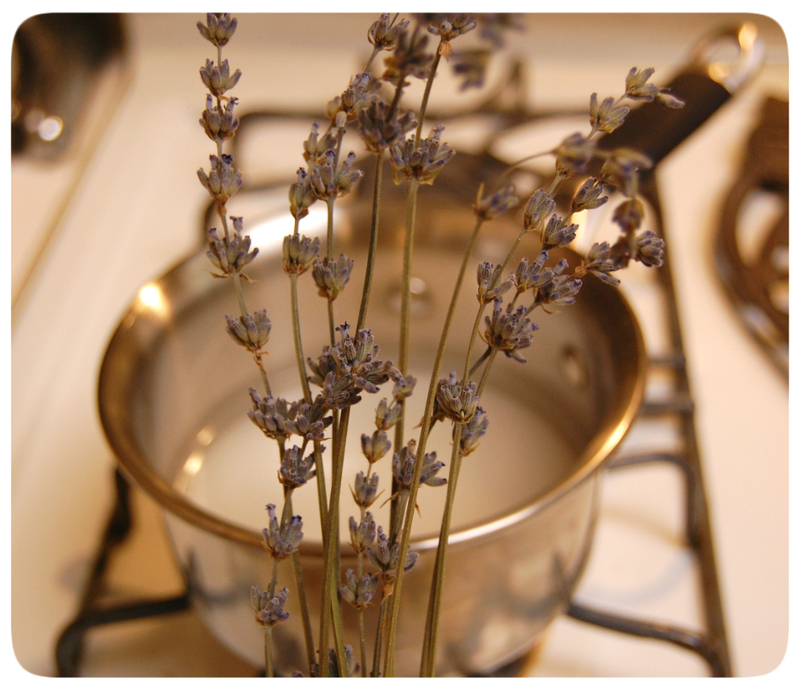 Bring sugar, water and lavender to a boil in a small saucepan. Simmer until sugar has dissolved. Remove from heat and let steep for 15 – 30 mins. 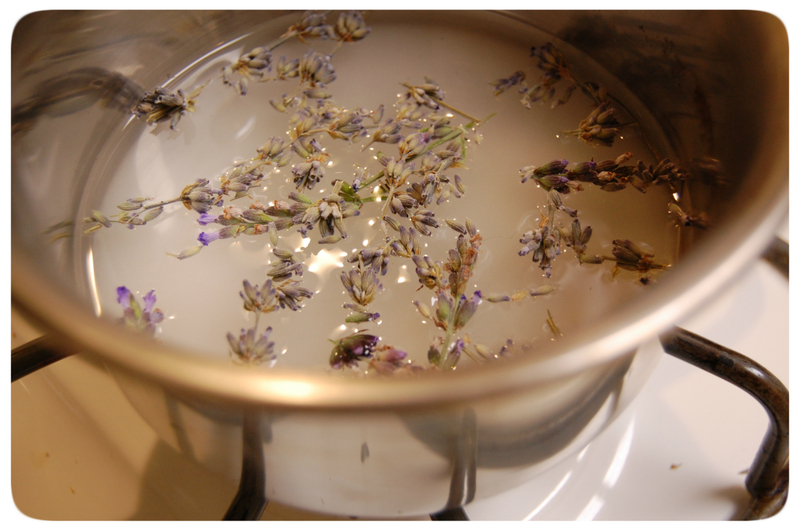 Strain lavender buds and transfer syrup to a container with lid. Refrigerate for up to a month. BTW – This recipe makes more then needed for one cocktail. Since you can store it for a while in the ‘fridge, experiment this syrup in other cocktails, over Greek yogurt, ice cream or as a sweetener substitute. 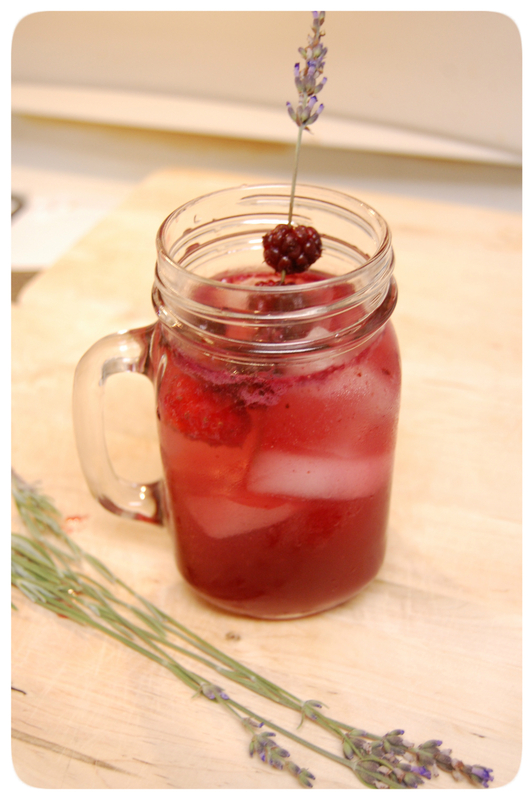 Share with us how you used your lavender syrup on twitter @ApronsStilettos or in the comments below. 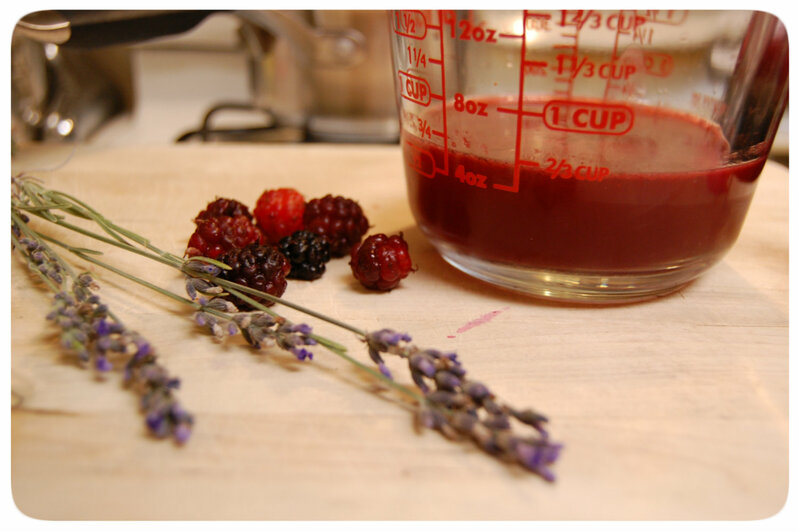 *I used mulberries since we have two beautiful trees in the backyard. Your specialty markets may carry them so ask around. Raspberries can certainly be substituted. 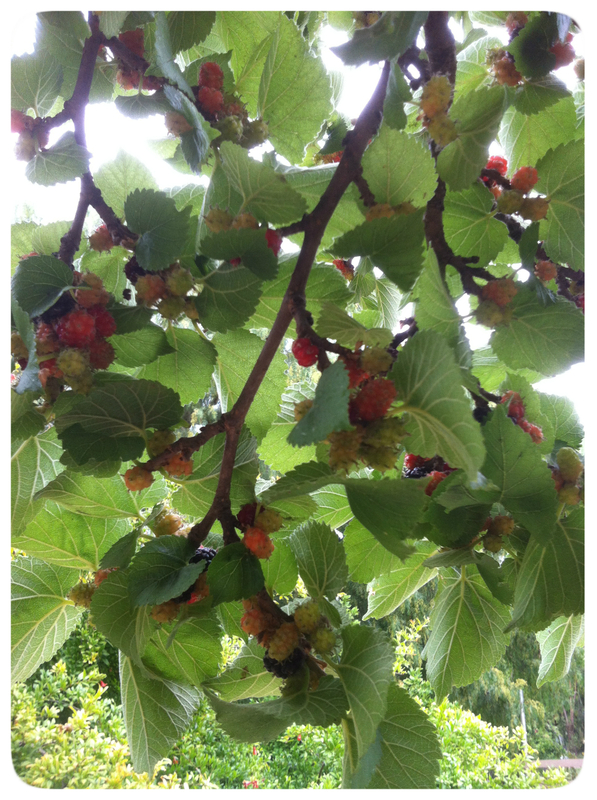 Just remember that they will be slightly more tart than mulberries. Experiment and share with us your spin on this cocktail!